Looking for cargo shipping from China to Egypt but don’t really know what to look for in the right service provider? We at TS Freight have gone the distance to make import from China to Egypt as simple as possible for you. And to do that, we offer you comprehensive, one-stop logistics and freight services from China to Egypt under a single roof, so that you can depend on a partner who is completely equipped to take care of all your shipping needs. However, if you are in need for special services that are not included in the above mentioned list, we will be happy to customize the cargo shipping from China to Egypt to cater to your specific needs. 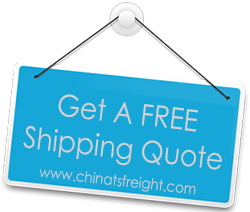 All you need to do it give us call or email us today with your requirements, and we will get in touch with you as soon as possible to give you our quote for affordable, efficient and fast import from China to Egypt services that are bound to leave you impressed.